Today, the remains of Erroll Hulse, a dear friend and elder statesman in the Reformed faith, will be interred in Cuckfield, England. My mind is, therefore, very much in that part of the world as the sun comes up here in the heart of Africa. I wish I could be there to witness the ending of an era. 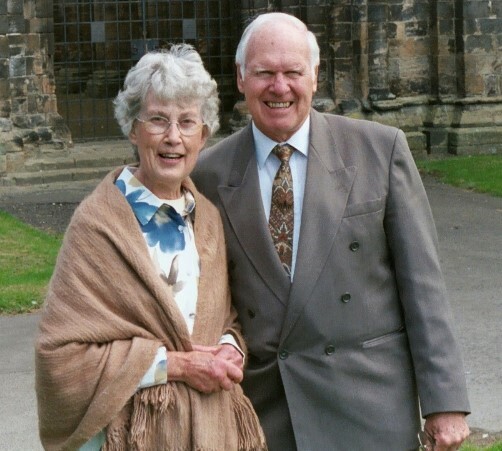 I first got to know about Erroll Hulse soon after I became a pastor in the late 1980s through the Reformation Today magazine, which he founded and edited for many years. In due season I came across a few of his early books. Then when I began to visit South Africa in the early 1990s, I found that his was a household name among the Reformed Baptists there. It was as if he lived there. He had continued to visit South Africa and minister there over the years. Erroll Hulse was an African in a white skin. 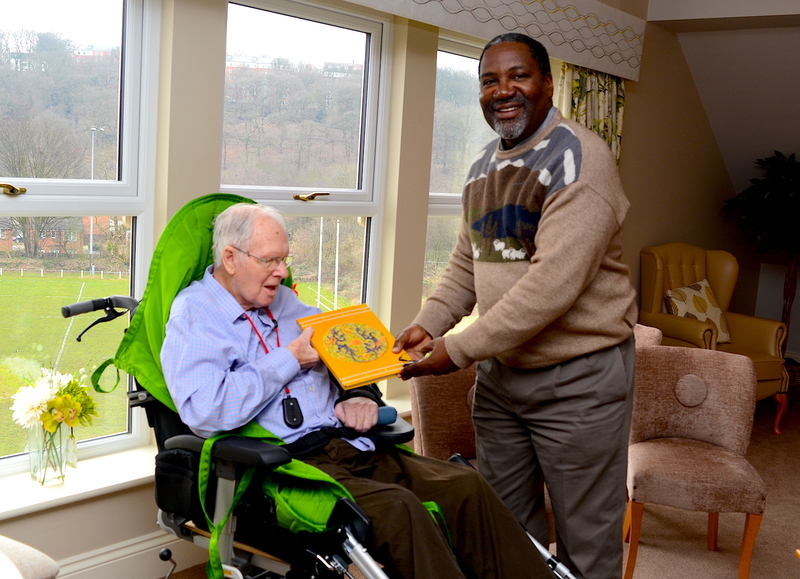 Although he left Africa as a young adult to pursue theological studies in the UK, his heart always yearned for the health of the African church. He invested immensely on this continent both in terms of time and money. He was as familiar with the church scene in Cameroon (in West Africa) as he was with the church scene in Kenya (in East Africa). There was not a corner of Africa that he was ignorant about. He turned his knowledge into prayer and often sent books and encouraged sound preachers there. He was also involved in the start of the Skogheim Evangelical and Reformed Conference in South Africa, which continues to run up to now. In 1995, he spent part of his year in Namibia filling in for Pastor Joachim Rieck at Eastside Baptist Church who had gone on furlough. 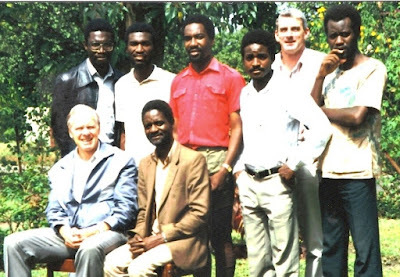 In 1991, Erroll Hulse decided to come and visit Zambia to verify what he was hearing about the fledgling Reformed Baptist movement here and to encourage us. He came in the company of Trevor Roberts, who at that time was pastor of Germiston Baptist Church in South Africa. He dubbed that historic visit, “In the footsteps of David Livingstone”. Erroll was in his element as he spoke to us about the uniqueness of the Second London Baptist Confession of Faith of 1689. He said it had Reformation roots, Puritan roots, and Baptistic roots. The few of us who were gathered at that meeting went away sensing that we belonged to a great pedigree of those who never bowed their knees to Baal across church history. Erroll had inspired the Reformed Baptists in South Africa to start a magazine called Reformation South Africa. After this visit, he encouraged them to change its title to Reformation Africa South so that it would include the Zambian Reformed Baptist movement. In due season, we began our own magazine, Reformation Zambia, from the same inspiration. Why do I think that the passing on of Erroll Hulse into the presence of his Master is the ending of an era? It is because while Erroll lived he was the unofficial but indefatigable roving ambassador for Reformed Baptists worldwide. He formed the International Fellowship of Reformed Baptists (IFRB), which struggled to take off due to the fragmented nature of Reformed Baptists around the world. The IFRB itself became another point of contention, which did not help matters. Despite all that, in his person, he brought the family of Reformed Baptists across the whole world together. Erroll was a journalist par excellence. He told us about one another and about what the Lord was doing in various parts of the world through the Reformed Baptist movement. He never attracted attention to himself but always drew our attention to the Baptist forefathers, the Puritans, the Reformers, the apostles, and ultimately to the Lord Jesus Christ. Frankly, I cannot currently see anyone taking up the mantle left behind by Erroll because he had a rare combination of gifts—energy, enthusiasm, clarity of mind, doctrinal stability, passion for the lost, prayerfulness, journalistic prowess, etc. Truly, an era in history has come to an end! 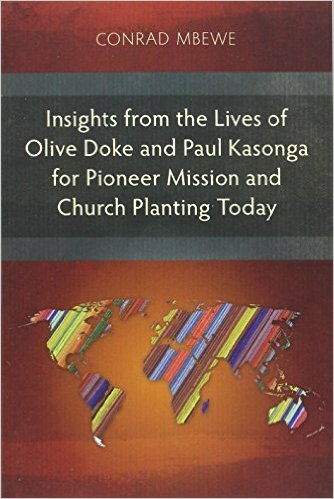 Perhaps Erroll Hulse’s final lasting legacy to Africa will be the African Pastors Conferences (APCs). Initially, he worked closely with Dennis Hustedt, a former pastor in South Africa who now lives in the USA. At some point the two felt it better to work independently. That was when Erroll Hulse looped Irving Steggles and me in as directors and the APCs were fully born. That must have been around 2008. The board of directors has expanded further since then. 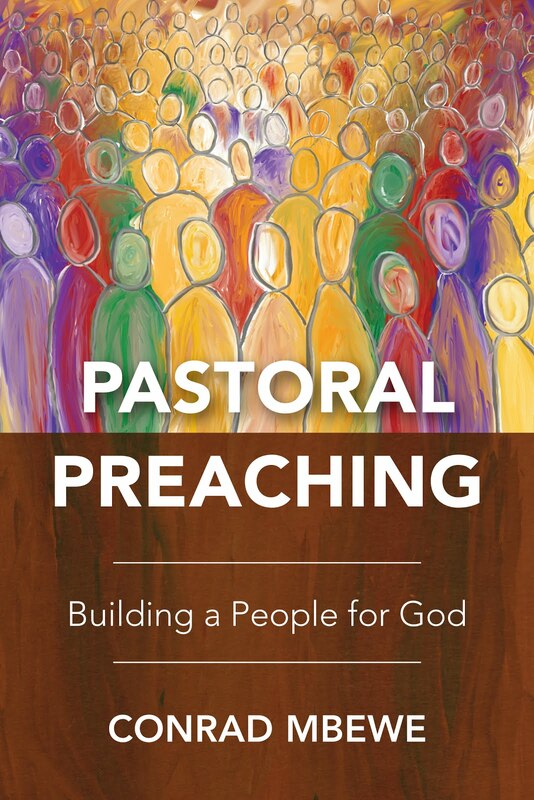 In the APCs, I saw first-hand Erroll’s passion for the health of the church in Africa. Erroll Hulse canvassed both sides of the Atlantic for finances to buy books, which were then sold to pastors at prices they could afford or even given out to them freely at the conferences that were also highly subsidised. The last time I counted there were 40 such conferences taking place per year right across southern, central, and eastern Africa. In those conferences, Reformed Baptist pastors from Zambia have been the main preachers. The last time I met Erroll on African soil was at an African Pastors Conference in South Africa. He was with Lyn his wife of many years. She was not well and it was clear that this was the last time I would see her. Sure enough, Lyn went to be with the Lord soon after that. It was during one of those conferences in November 2013 in Empangeni, South Africa, that Erroll Hulse suffered the stroke that finally took his life a week ago—almost 4 year later! At the start of 2015, it dawned on me that my coming visit to England was probably going to be my last opportunity to see Erroll. I asked Kabwata Baptist Church members who had been around long enough to remember how he helped us as a church in our early years to express their gratitude to him in a remembrance book. I carried this book and personally gave it him on that trip. He embraced it warmly. As I travelled to England on that trip I read some of the comments and was really touched by the sentiments expressed in that book. He had touched more lives than he knew here in Africa. Thank you, Erroll. Thank you and farewell, my friend! Praise the Lord for this article Conrad. Our church prays regularly for the African Pastors Conferences and began monthly support this past year. I’m hoping to participate in the upcoming conferences this coming year with John Divito. Blessings to you and yours in the work of the gospel. A man of whom the world was not worthy. Thank you Erroll, and thank you Conrad. We were blessed to host the Hulse's here in Toronto once, Conrad. All you said of him we also witnessed firsthand. What a dear couple. Praise God for a life not wasted! at an early sovereign grace conference. 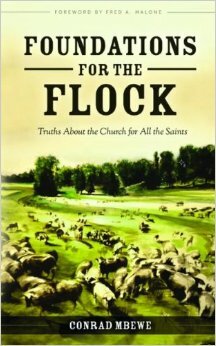 His Introduction to the Baptists is a must read fro all theological students coming from Baptist Churches. This is wonderful to hear from your perspective. I have spent many years listening to Errolls reports of his time in Africa. Many thanks for these precious remembrances. What a strong testimony to the sovereign grace of Christ over a lifetime.